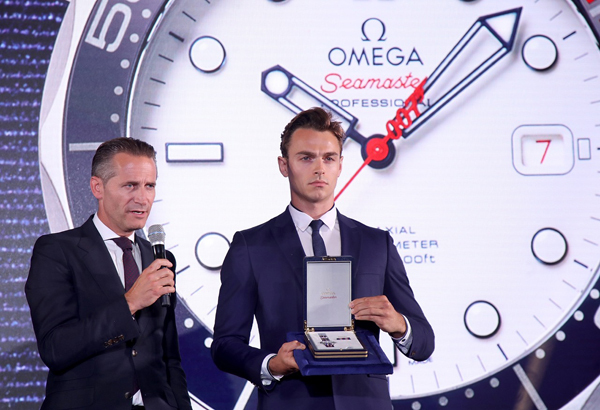 OMEGA unveiled the Seamaster Diver 300M “Commander’s Watch” Limited Edition in London this week; a new timepiece celebrating the rank and regalia of the historic 007, James Bond. 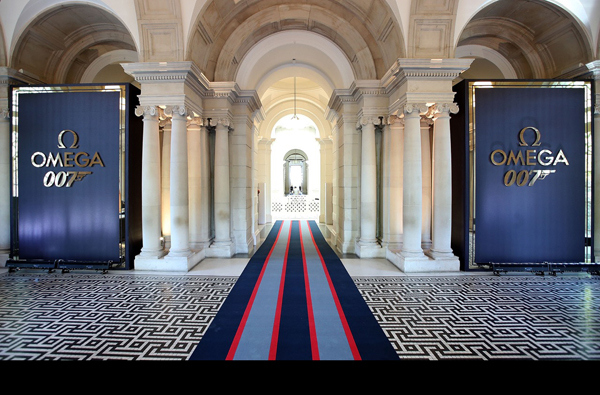 In true 007 style, guests were transported by boat along the River Thames on a cruise before arriving at Tate Britan, for a celebratory evening fit for a spy. 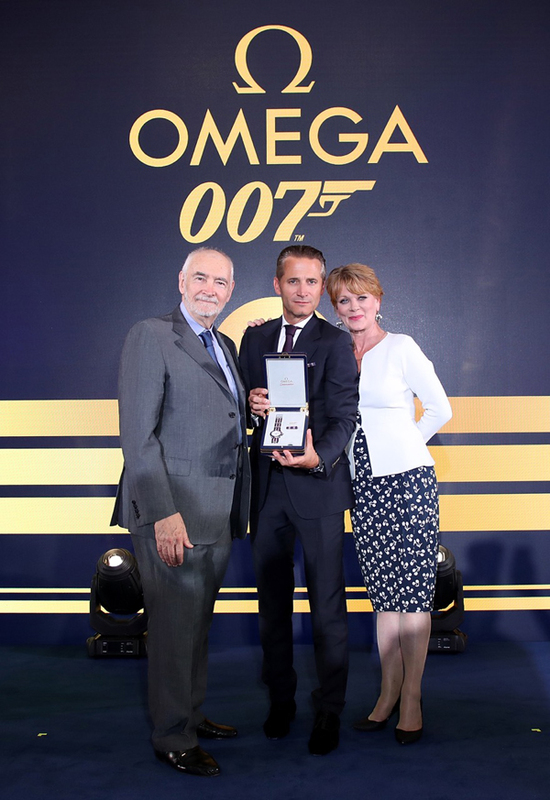 OMEGA President and CEO Raynald Aeschlimann was joined by Bond film producer Michael G. Wilson, who both revealed the timepiece during an introductory speech at the cocktail reception. 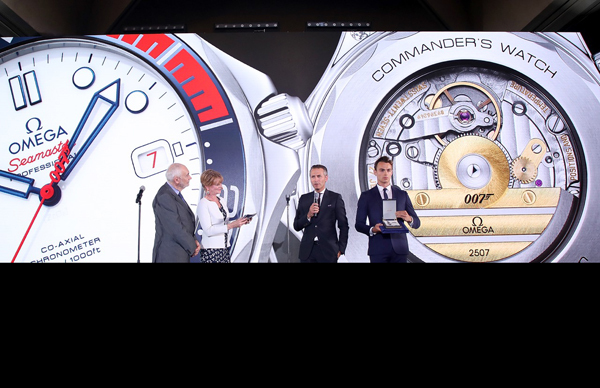 Cased in stainless steel, the “Commander’s Watch” pays special homage to Mr. Bond’ rank as Commander. 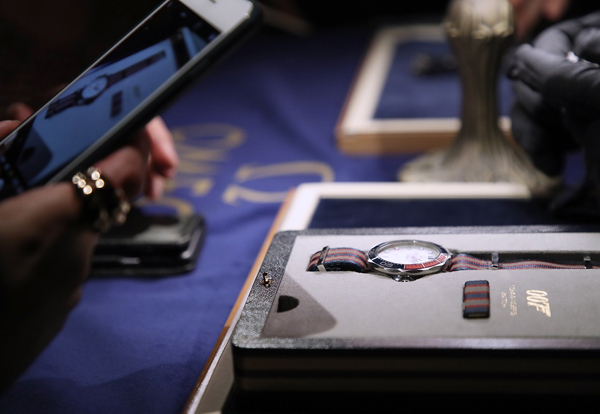 It follows the Royal Navy’s ensign colors with a polished white ceramic dial, Facetted blue skeleton hour-minute hands and a varnished red second hand with a “007” gun logo. The watch is presented on a 5-stripe blue, red and grey polyamide NATO strap, with an additional metal bracelet. 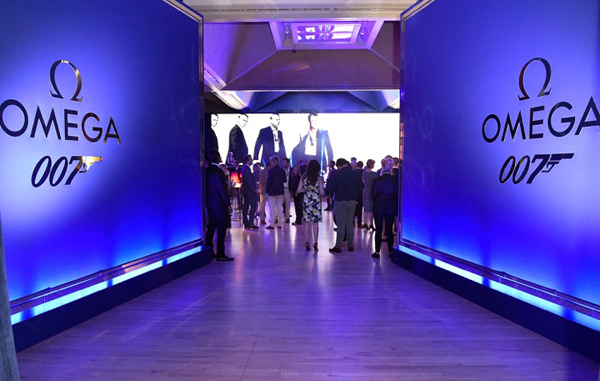 The timepiece is powered by the exclusive OMEGA Calibre 2507.